The drought regime continued its hold across the State in 1864, accompanied by the warmest summer temperatures yet of the statehood era. Annual mean temperature in St. Paul, however, was still a coolish 42 F, total precipitation about 15 ½ inches. Growing season rainfall was only slightly more generous than last year’s, although significant early July rains helped deflect another impending agricultural crisis. River stages, however, were “deplorable” virtually the entire boating season, causing more problems for traffic. All quotes below, unless otherwise noted, are from the St. Paul Daily Pioneer. The “Cold Time” of Early 1864 – New Year’s morning 1864 dawned with perhaps the most dangerously cold windchills ever experienced at this hour in central and southern Minnesota recorded history. Bitter mornings with the mercury far below zero or even frozen in the bulb were certainly not unknown or unexpected in winter, especially in view of recent years’ experience, but such a combination of frigid temperatures AND bone-chilling wind during daylight hours had never before been chronicled. In St. Paul, Reverend A. B. Paterson read -35 F at 7AM accompanied by Force 3 winds (12 miles per hour). Coupled with similarly dangerous winds, minus 40 F was observed in Anoka, Rochester, and La Crosse, Wisconsin, and -38 F was reported in Winona. Even at 2PM, under “a clear atmosphere and a bright sun” it was still -25 F in St. Paul; Forest City noted -28 F, and Fort Ridgely -22 F at that same hour. Needless to say, outdoor exposure was “almost unbearable” and there were fatalities, among them, for example, stagecoach passengers and drivers. 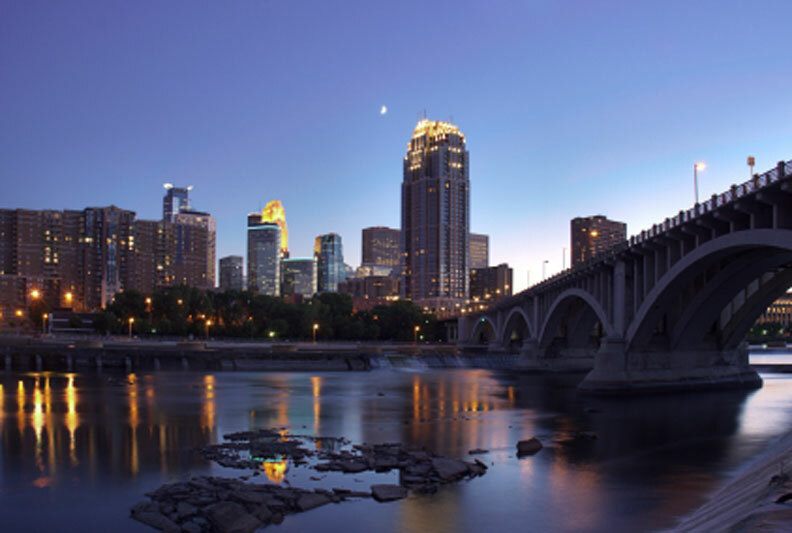 In St. Paul, the oldest resident settlers spoke of 1 January “as a more trying day then they had ever experienced”. Down in St. Louis, the mercury sank overnight to -24 F, the Mississippi there freezing firmly enough “so that teams could cross”. The Eastern seaboard was “completely deluged in snow and cold”, and days would pass before normalcy returned. Civil War operations were also halted for a time. Back in Minnesota, the “cold time” lasted for eleven days, no above zero readings observed in St. Paul or Rochester over the first eight. Forest City remained subzero until “9PM of the 10th”. The dry cold might have been even a bit too intense for those health-seeking visitors suffering from lung disorders. Still, one-third of the Minneapolis hotel and boarding house guests during January were reportedly “of the invalid class … with high hopes of a speedy cure”. A remarkable reversal in temperature, however, took place over the last ten days with warm sunshine and a pronounced thaw. Temperatures reached 50 F on several afternoons in St. Paul, the “beautiful sleighing”, in place for a month, “completely destroyed”. Forest City hit 60 F on the 27th, its snowcover “nearly gone”. This winter’s abrupt change and the experiences of ’60, ’61, and ’63 prompted some observers to consider the possibility that the intense, steady cold winters of the recent decade or so might have been less the norm then originally thought. Indeed, a few old settlers in St. Paul, recalling the open and sometimes very mild ones of the 1840’s, declared (with complete credibility) that those were the “original style”. Monthly mean temperature in St. Paul finished at 10 F, just slightly below average, obscuring the great thermal contrasts that occurred between the early and latter parts. Backward Spring, Drought-Induced – Spring ’64 brought little encouragement that the long succession of dry months had reached its end. Indeed, most signs seemed to point to another droughty growing season. April (mean temperature in St. Paul: 43 F; precipitation 1.10 inches) had “a continued absence of precipitation and the prevalence of winds from the North”. Winds “blew steadily from that quarter for the first twenty days”, ice forming almost “every night”. Grass was “hardly greener on the last day of April than it was on the first”. Most afternoons through the 20th were in the 40’s and 50’s, the last ten having a few in the 60’s, including the month’s warmest reading (71 F) on the 25th. The first boat through Lake Pepin arrived on the 14th. Expressing the increasing concern regarding the long continued absence of moisture, Reverend Paterson wrote at month-end: “We must have rain soon, and that in large abundance, or the crop of the State will not more suffice for its own consumption, and the low stage of water will so enhance freights, that the expense of living will be very seriously increased”. May (St. Paul mean temperature: 58 F) brought some relief, but only near the close. Less than one-fourth inch of rain fell in St. Paul over the first three weeks, 0.47 inches in all for the month. Vegetation was still so backward on the 10th that a hard freeze, with ice forming one-third inch thick, hardly caused any injury to vegetation or crops. Prayers for rain had been offered in nearly all the churches of St. Paul “both Catholic and Protestant” on the 8th. “Mid-Summer heat” at the start of the third week further aggravated matters, St. Paul reaching the low to upper 80’s on eight straight days over the 15th-22nd. Fort Ridgely on the 18th reported “vegetation suffering from drought”, but significant rains over much of the state during the last few days brought a badly needed reprieve for the young wheat and other crops. Some of the storms were severe, one that struck Rochester leaving hailstones “the size of hickory nuts”. Opportune But Light Summer Rains – Summer ’64 brought some more tense periods for agriculture, especially in June, but like a year ago, critically-timed falls later in the season enabled tolerable wheat yields to be realized in most areas. June (mean temperature in St. Paul: 67 F; 1.62 inches’ rain) was “pleasant” except for a late “heated term” and “the absence of rain in any considerable quantity”. Frequent dusty days over a two-week stretch “made outdoor movements anything but pleasant”. Frost on the 6th and 7th in the lower Minnesota Valley severely damaged crops already suffering from the drought, along with a cutworm infestation. Afternoon temperatures in St. Paul through mid-month seldom got out of the low 70’s, the 6th only 62 F at 2PM. Much of the rest of the month, though, was warm, afternoon readings in St. Paul over the 18th-25th near 90 F or occasionally higher. Like last month, “refreshing” and “glorious” rains over the last week took the wheat and other crops out of danger just in time. Similar to ’63, the drought worsened as one went north. A physician on the way to the Selkirk settlement (Winnipeg) reported that the plains en route “were very bare, being blackened by fire and scorched by the sun”. Crops at the settlement itself were “burning, drying, withering to the ground”, and a total crop failure would finally result in September. In Minnesota, grasshoppers “in numbers greater than at any time since the great plague [of 1857]” began to be seen on the road to Fort Abercrombie. July (mean temperature in St. Paul: 73 F; 4.14 inches’ rain), brought a temporary “breaking up of the drought”. Only an average July by present-day thermal standards, in this era of cool summers, it went down as the “hottest month since Statehood”. “Copious showers” over the first 18 days “rescued from destruction several of the growing crops and relieved many of the impending fear of starvation”, a “slightly below average” harvest of wheat, oats, and rye assured. Afternoon temperatures showed a gradual upward trend from start to finish, the low 80’s felt generally over the first ten afternoons, the upper 80’s and low 90’s the rule over the last ten. River levels, though, were not appreciably affected by the month’s rains, the continuing inability to float logs down from the Pineries to the Minneapolis-St. Anthony area and the high demand for lumber there necessitating, in early July, the “taking down of the lower bridge at St. Anthony and … sawing the timber into boards”. August (mean temperature in St. Paul: 70 F; 2.00 inches’ rain) had an early warm spell along with reduced rainfall. “Tropical, debilitating” weather”, the most oppressive of the summer, prevailed over portions of the first and second weeks, afternoon temperatures in St. Paul ranging from the mid-80’s to low 90’s over the 4th-11th. New Ulm registered 97 F on both the 9th and 10th, and 95 F on the 11th. A brief spell of heavy rains occurred at mid-month, with temperatures cooling significantly over the ensuing days. The last week had afternoon readings confined exclusively in the low to mid-70’s. While the State’s crops had survived another trial this year, river stages and boat traffic had not fared so well. Late in the month the Mississippi was as reportedly as low as it had been “since the first steamboat landed at Fort Snelling [in 1823]”. Boats all the way down to Winona were “frequently obliged to blow their whistles to drive the cattle out of the channel”. Grasshoppers by this time had also made their way into the Fort Ridgely/New Ulm area, damaging crops. Dry Autumn, Early December Cold – September (mean temperature in St. Paul: 58 F; 1.14 inches precipitation), not uncharacteristically, had lingering summery warmth over the first week or so, autumnal conditions thereafter. Rainfall was mostly light, river levels, in particular the Minnesota’s, still disturbingly low. Afternoon temperatures in the upper 70’s to mid-80’s occurred on the majority of the first ten days in St. Paul. The 10th reached 84 F for month’s highest, but few reached as high as the mid-70’s after that date, the last eight generally in the 50’s. The season’s first frost came on the 19th in the central and south, a “sharper” killing frost experienced on the 28th with the 7AM St. Paul temperature a frosty 25 F. The comparatively warm summer temperatures this year and the delayed first frosts resulted in a corn crop yield “considerably above average”, most of the other principal crops “not much below average”. In contrast to the relative (and unexpectedly) good fortunes of agriculture, steamboat shipments of winter supplies were now two to three weeks behind schedule and there was concern that considerable quantities would not arrive before the close of navigation. A worse fate would indeed be realized on the Minnesota River — just one-fifth of the surplus wheat would be able to be moved out before the end of the season. October (mean temperature in St. Paul: 44 F; 1.60 inches’ precipitation) featured “a very large amount of cloudy weather”, otherwise “marked by no very peculiar features”. Only five afternoons in St. Paul reached as warm as the 60’s, the highest 67 F on the 13th, most others after this date in the 40’s and 50’s. Freezing or near-freezing mornings were the rule after the first week. Recalling the cold and damp October of last year and its beneficial influence on river levels, some hoped that the like would repeat this year. The expectation, however, “was not fulfilled” and the levels were essentially unchanged at month-end. Already, the outlook for river-based transportation was grim, an excessive amount of snow having to fall over the coming winter to even partially make up for a precipitation deficit that was now “about one year’s amount”. November (St. Paul mean temperature: 30 F; 1.09 inches precipitation) brought some early snows and arctic cold, closing, however, with a heavy thaw. With a few exceptions, conditions after mid-month were “an almost continuous succession of foggy, cloudy, and rainy days”. The first week had afternoons mostly in the 40’s, nights in the 20’s, but a cold influx over the 8th and 9th kept readings below freezing throughout. Thanks to an ice gorge at Hastings and the unusually shallow depth of the Mississippi, the “last boat” of the season left St. Paul on the 10th, the earliest closing date in recorded history. A four-inch snowstorm tracked through on the 14th, another storm accompanied by a gale leaving 2 1/2 inches more on the 20th. Mid-winter cold followed, the mercury falling to near zero on the morning of the 22nd, the afternoon reading only in the mid-teens. A marked warmup, however, then ensued, start of a long spell of “damp and wet” but “unpleasant and unhealthy” weather. Snow and river ice disappeared completely, and boat traffic was possible again to Hastings, the latest occurrence yet in history. Daily temperatures in St. Paul were thawing almost continuously over the last six days, the 27th-31st reaching the mid-to-upper 40’s on each. December (mean temperature in St. Paul: 11 F; 0.71 inches precipitation) brought a great changeover to unseasonable early arctic cold late of the first week. Afternoon temperatures of 46 F and 42 F were reached in St. Paul on the 1st and 2nd, with navigation still possible to Hastings on the latter. But the 3rd was only in the upper 20’s, the mercury near zero on the morning of the 6th. The 8th was around -20 F in most areas, accompanied by “a piercing northwest wind” that probably brought back memories of New Year’s Day. A heavy snowstorm over the 10th dropped nearly 10 inches at Fort Ridgely, but in its wake a second arctic blast left minus 21 F there next morning. St. Paul dropped to -20 F on the 14th. Moderating temperatures followed, but except for a minor thaw over the 24th-26th, subfreezing days, near or slightly subzero mornings, and light snow were the rule.